Manmar Navy's most impressive growth has been in its frigate fleet. 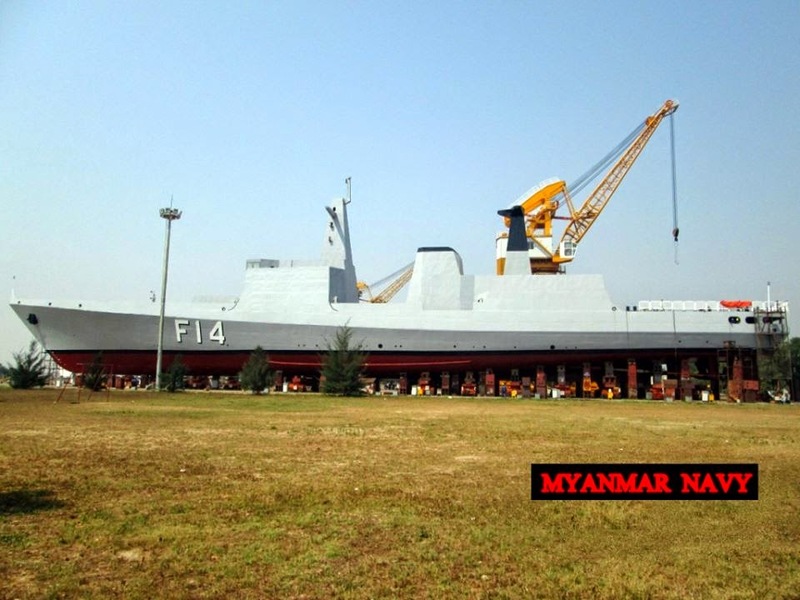 Myanmar Navy launched its third indigenous frigate on 29th March 2014 at the Thilawa Naval Dockyard. 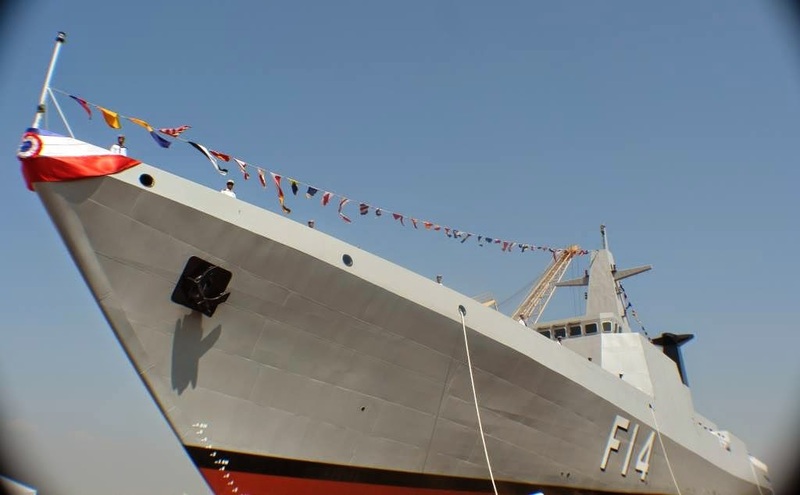 The ship was christened F 14 Sin Phyu Shin. Sin Phyu Shin was the king of the ancient Myanmar who conquered the Kingdom of Thailand in the 1700s AD. He also resisted and defeated the mighty neighbour China in the northern Myanmar. F 14 became the second Stealth frigate for the Myanmar Navy and used the same hull and propulsion as the preceding F 12 frigate, which had also been built by Thilawa Naval Dockyard. While the F 12 used a mixture of Russian and Chinese systems, the F 14 used predominantly Chinese systems, with a few sensors being notable exceptions. The F 14 is designed for the fleet air defence role, and will be mounted with Type 346 radar and HQ-9 air defence missiles. It will also carry C 602 anti-ship missiles which has the maximum range of 280 km. Aviation facilities included a rear hangar and flight deck for one Ka-28-A or Z-9 helicopter. 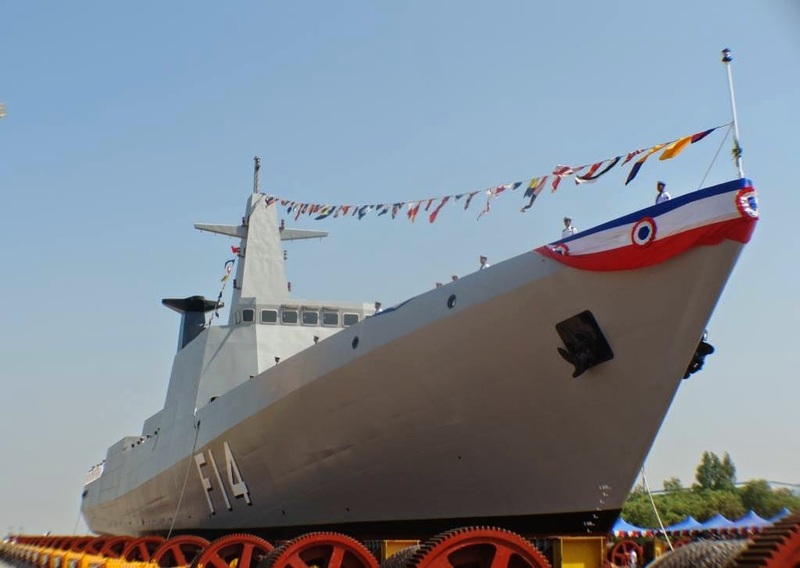 Myanmar Navy since 2010 has put into service three indigenous frigates of which two are stealth design with rear hangar. Keel laying ceremony of the fourth indigenous frigate F 15 was held in the late 2013. Myanmay Navy also acquired two Type 053 frigates from China in 2011 and upgraded with C 802A SSM. Therefore Myanmar Navy is currently operating 2 Type 053H frigates and 1 indigenous Aung Zeya class frigate. Second indigenous frigate F 12 is ongoing sea trial and expected to enter service in late 2014. Third indigenous frigate F 14 will join Navy in 2015. F 15. fourth indienous frigate is expected to enter service by 2016. Myanmar is planning to build six figates of (108 metre ) Aung Zeya class and four (122 metre ) modifid Aung Zeya class in the Thilawa Naval Dockyard. Apart from thst frigates Myanmar Navy is also operatng two light frigates. F 771 and F 772.